Owners often tell me their pets are thin but when I examine them, they actually have a perfectly normal body condition score (BCS; an assessment of fat stores). Instead, what the owners are noticing is that the pet has lost muscle. This loss of muscle has important consequences and usually only occurs when a pet is sick, injured, or aging. When a dog or cat (or person) is healthy and loses weight, he’ll lose mostly fat. When a pet is sick or injured, however, he’ll lose mostly muscle. This loss of muscle is called “cachexia.” Cachexia can happen in dogs and cats that have been injured or have common diseases, such as heart disease, kidney disease, or cancer. The same muscle loss occurs during aging, where it is called “sarcopenia,” so that even healthy older dogs and cats have less muscle than their younger counterparts. Not only is muscle lost in aging or disease, but the muscle that remains doesn’t function as well. Cachexia and sarcopenia are not just cosmetic: the muscle loss makes an animal weaker, depresses immune function, and reduces the ability to recover from illness, surgery, or injury. Sometimes, these animals don’t eat as well as usual and this can contribute to cachexia and sarcopenia. Careful attention to nutrition is important, but muscle loss can occur even in animals with a normal appetite. What is even more important in causing muscle loss is inflammation caused by the underlying disease or the aging process. How can you tell if your dog or cat has muscle loss? You should learn to assess both BCS and muscle condition score (MCS). This is something that every pet owner can do with some training (see links for charts and a video). BCS is a subjective assessment of body fat, with a goal of 4 or 5 on a 9-point scale. Assessing BCS can help keep your pet at an ideal weight. The MCS differs in that it specifically evaluates muscle. The MCS is determined by feeling your pet’s muscles over her back, head, shoulders, and hips. The muscles over the back, just on each side of the spine, are the earliest site affected by muscle loss so that’s the first place to check. MCS is graded as normal, or as mild, moderate, or severe muscle loss. 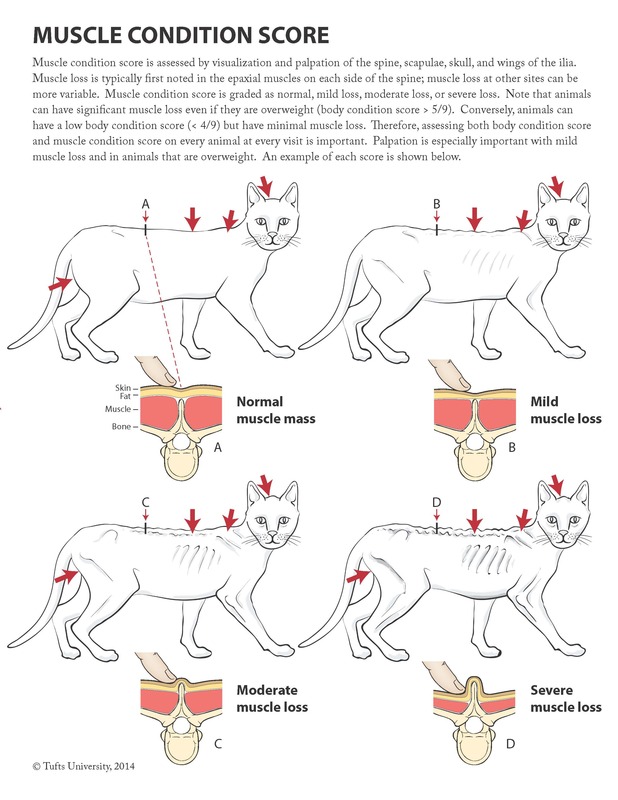 Many people wrongly assume that animal has to lose weight or be very skinny to have muscle loss but this is not true. 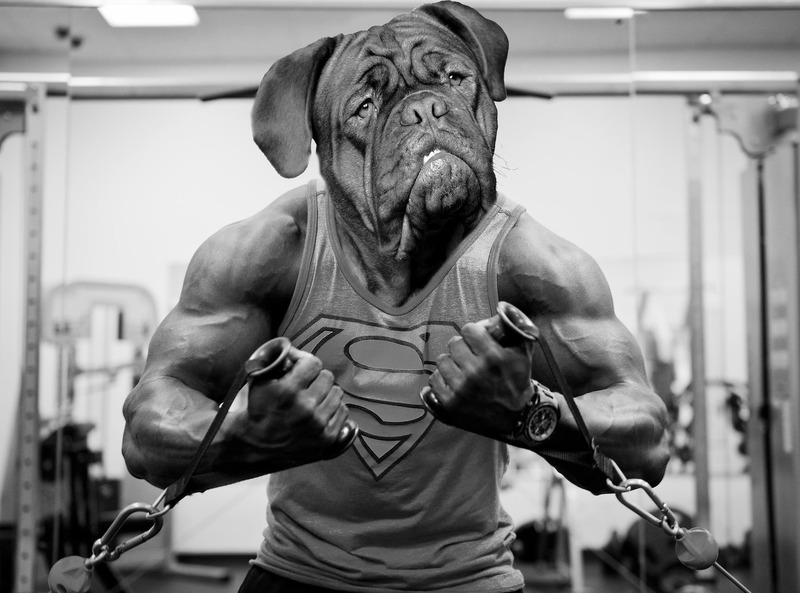 Dogs and cats can even be overweight and still have significant muscle loss. On the flip side, animals can be thin but have normal muscle mass. That’s why it’s important to assess both BCS and MCS. Spotting muscle loss at its early stages is important because treatments are more likely to be successful when it’s caught early. Cachexia and sarcopenia are extremely common in humans, so many companies are working on medications that can be used to treat or even prevent muscle loss. The tremendous interest for humans is carrying over into companion animals so I hope that drugs will also be available for pets with muscle loss in the near future. However, treatment for cachexia and sarcopenia is not just about drugs. Exercise can help to maintain muscle (always check with your veterinarian before beginning an exercise program with your pet), and nutrition also plays an important role. Be sure to talk to your veterinarian about the diet that would be best for your pet, whether he is aging or has a medical condition. Nutrition can play a critical role in managing disease and maintaining muscle, but it’s important to consider each pet as an individual to determine the optimal diet (not just what the marketing says). For maintaining muscle and for general health, more protein is not always better. I recommend you read our Petfoodology articles and blogs to arm yourself with facts and, as always, talk to your veterinarian. 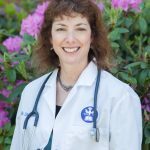 If your pet has a more complicated medical situation, you might want to ask your vet about scheduling an appointment with a veterinary nutritionist (a veterinarian who has completed a nutrition residency and is board-certified in veterinary nutrition) to help determine your pet’s optimal diet.